For lovers of feijoas, this fresh fruit cake is heavenly. Other tropical fruits such as mango, pineapple or banana can be substituted. Icing sugar to dust or 1 quantity lime or lemon glace icing grated rind of ½ lime or lemon. Preheat the oven to 180°C (160°C fan bake). Set the rack in the centre of the oven. Grease and line the base and sides of a 22cm–24cm round cake tin. Add in the egg yolks, beating well until thick and creamy. Sift the ﬂour and baking powder together and, using a metal spoon, fold into the creamed mixture with the coconut, feijoas and milk or coconut milk. In a very clean bowl, whisk the egg whites until they form stiff peaks and, using the metal spoon, fold into the cake mixture. Turn into the prepared cake tin. Bake in the preheated oven for 1 hour or until a skewer inserted into the centre comes out clean. Stand in the tin for 10 minutes before turning out onto a cake rack to cool completely. To serve, dust with icing sugar or cover with lime or lemon glacé icing and decorate with grated lime or lemon rind. 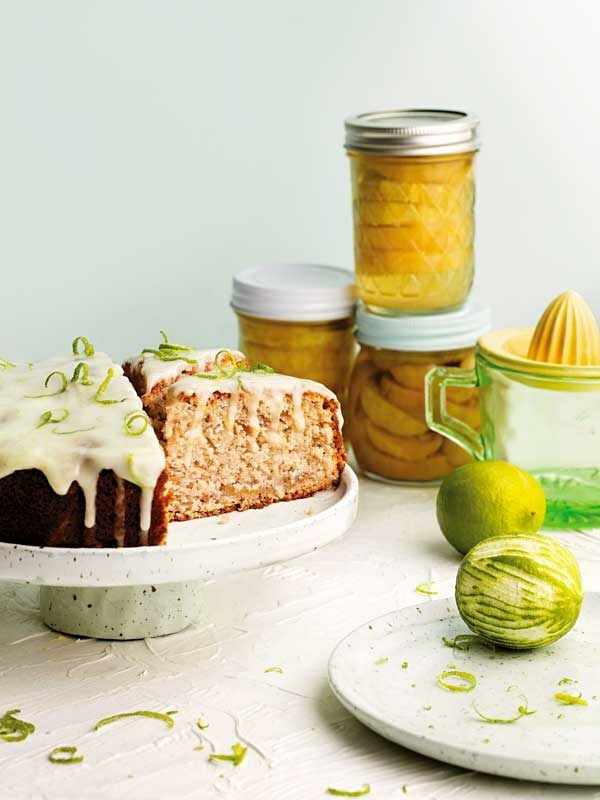 Spice the cake up with a little freshly grated ginger or a teaspoon of ground ginger, nutmeg, mace, cloves or cardamom, or add the grated rind of a lime or lemon.